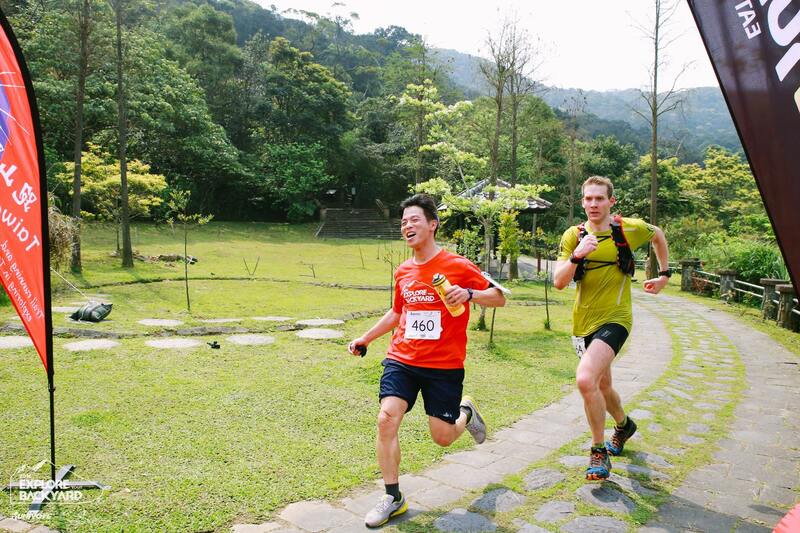 After a longer and colder than usual winter in Taiwan, the sun came out to greet runners at the second annual Explore Your Backyard race organized by Taiwan Beast Runners and Runivore. 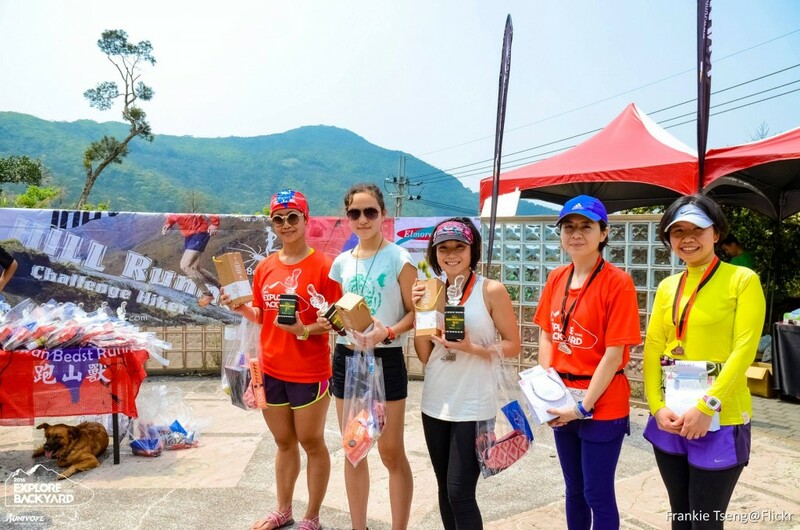 A total of around 250 runners and fun hikers gathered at the domed Sun Plaza (elevation 250m) in the hills of Neihu – a suburb of Taipei that neighbors Yangmingshan National Park. The biggest group of participants were signed up for the 16k, four hill (some participants called them mountains), race with positive elevation gain totaling over 1100m. The second group took on one less big hill in the 12k race. 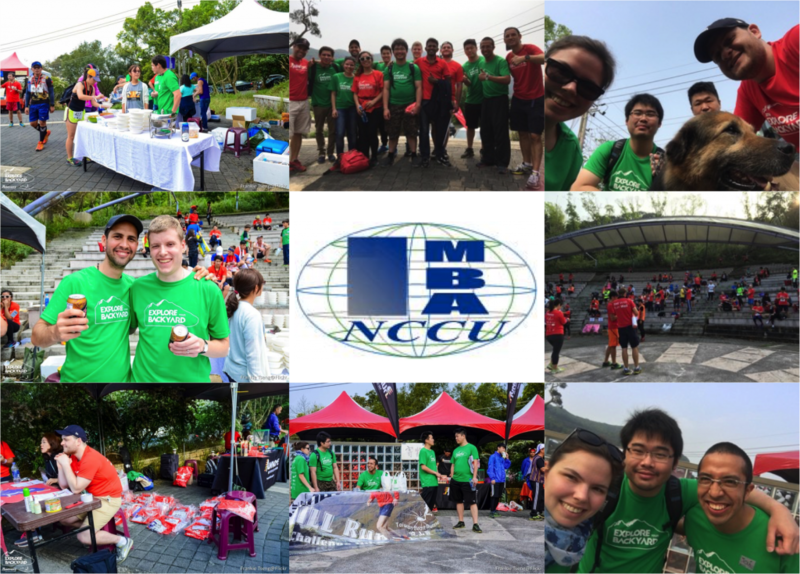 The final group were the 8k Fun Hike participants who were searching for hidden treasures (large coins) along their route. 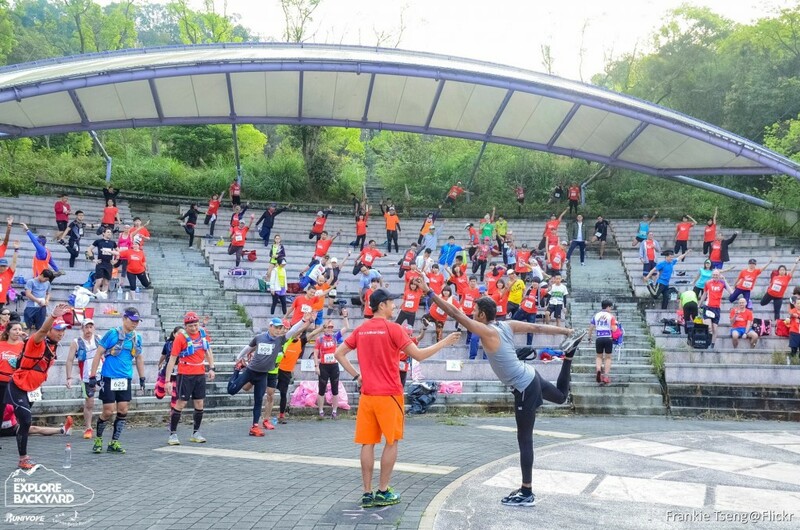 At 7:30 AM the annual pre-race yoga session kicked off the event and warmed up the joints and tendons of the participants. 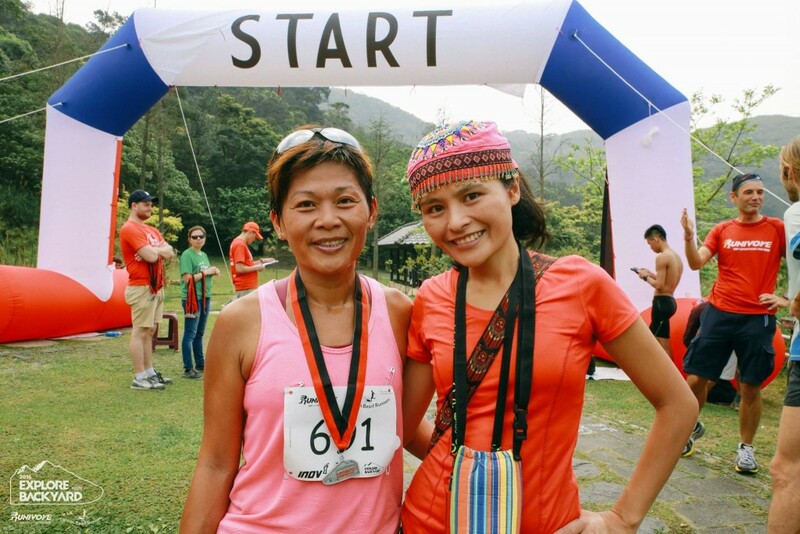 Hamsa yoga retreats was at the helm guiding the runners through a ritual of gentle stretches and lung-opening breathing exercises. As 8:00 AM neared, final instructions were relayed to the runners and the 16k racers lined up at the start line. BAM! – the fake gun went off and so did the runners. 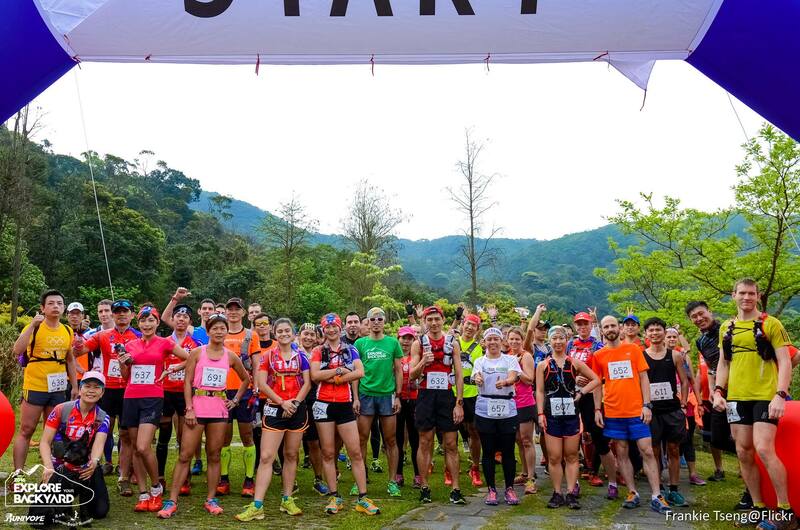 The race for both the 12k and 16k runners starts with one of the only stretches of uphill road, giving the faster runners a chance to separate from the slower ones before hitting the first narrow uphill. After 1.5 of continuous climb from the start line the runners were greeted by purrrrty views from the top of Daluntoe Mountain (elev 450m). And then, down and down they past the strawberry growing fields, through checkpoint 1 and into more foothills featuring waterfalls. The next big challenge was a steep climb (ropes were needed) up to the Dragon Boat Rock. Past the Dragon Rock the 12k and 16k runners split up sending the shorter route on to checkpoint 2, while the 16k-ers conquered one more mountain before heading starting to head home. 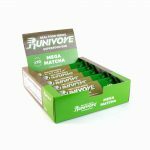 The runners were tired and thirsty as they reached checkpoint 2, having traversed the longest unsupported section of the race (around 9k for the 16k distance), and dealing with temperatures going past the mid 20s Celsius mark. 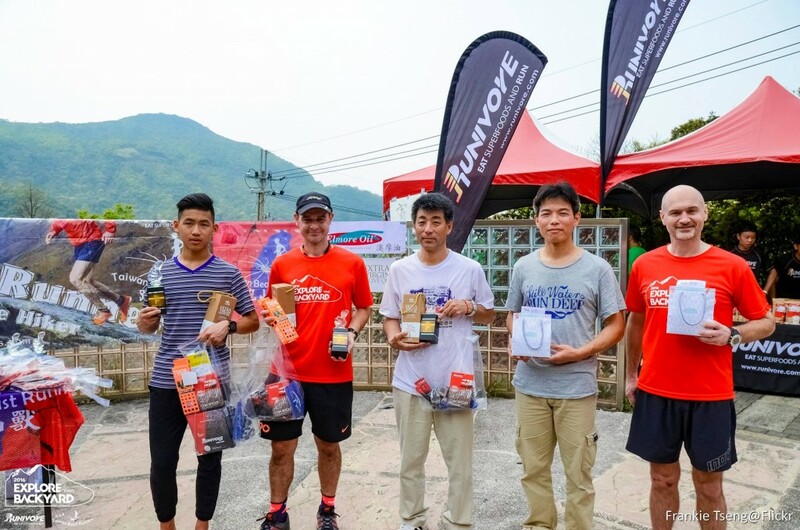 Competition in the mens category was fierce with Taiwan native Yung Sheng Chen and USA’s Cory Lewandowski fighting it out for the first place and Yung Shen pulling out ahead after checkpoint 2 and finishing just 39 seconds in front of Cory with a total time of 1hr 51m 44s. 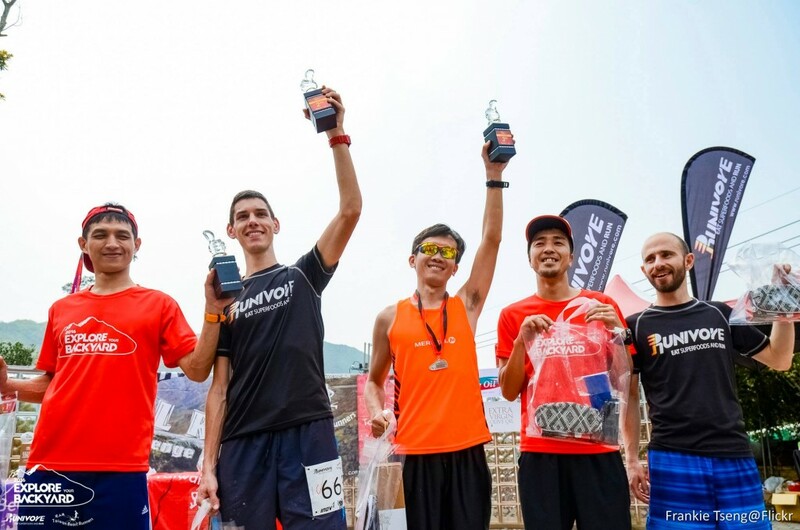 Jerry Lee of MERRELL ADVENTURE RUNNERS took third, Toru Fukai from Japan finished fourth, and Damiano Tietto of Italy (having taken a slight detour for the second year in the row) finished fifth in the mens category. Honorable mention goes to Ting-Jui Kang of Taiwan and Ondrej Lengal from the Czech Republic, for the most competitive finish, sprinting for the 10th place spot. 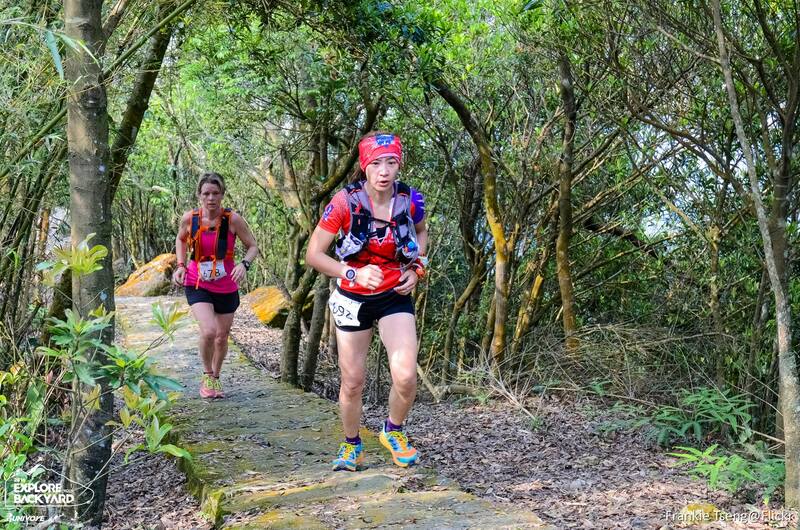 The ladies in the 16km category were led by Amelia Ortiz (Taiwan Beast Runners – USA) from start to finish (despite having sustained some bruising and what seemed to be a sprained ankle along the way). Amelia took the overall 4th place in an incredible 1h 56m finish, as well as the first place on the women’s side with a lead of around 20 minutes over the second place finisher Michaela Stevens (GBR), who herself has been on a path of recovery. 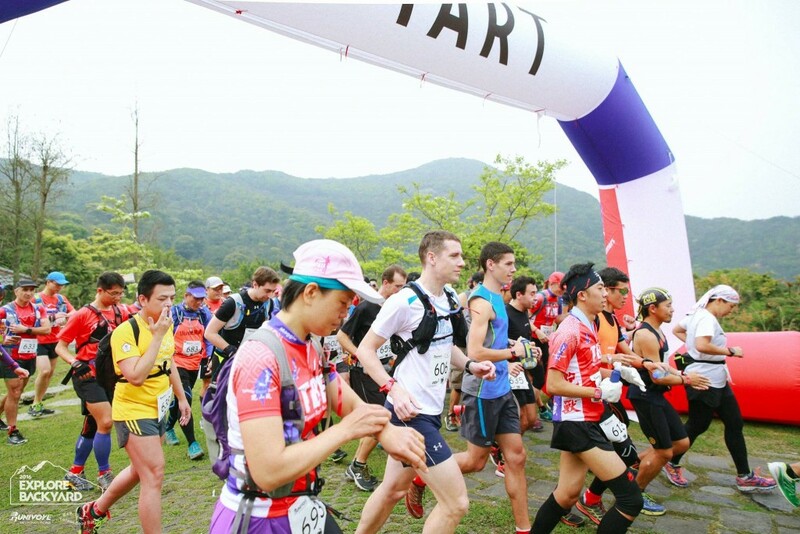 The top five spots were rounded out by Hyon Shim Chong (Arab Hangook – USA) in third, Kate Chang (Taiwan Beast Runners – TWN) finishing a strong fourth, and Er Yea Wang (Taiwan Beast Runners – TWN) just behind Kate in fifth place. In the mens 12k race, the top 5 finishers were Shao Hong Yang (TWN) in first with a time of 1h 34m, Paul Harding (GBR) took second place, Makoto Kimura (JAP) third place, Will Barnard (GBR) was in fourth, and Chin Hsiang Chiu (TWN) in fifth. 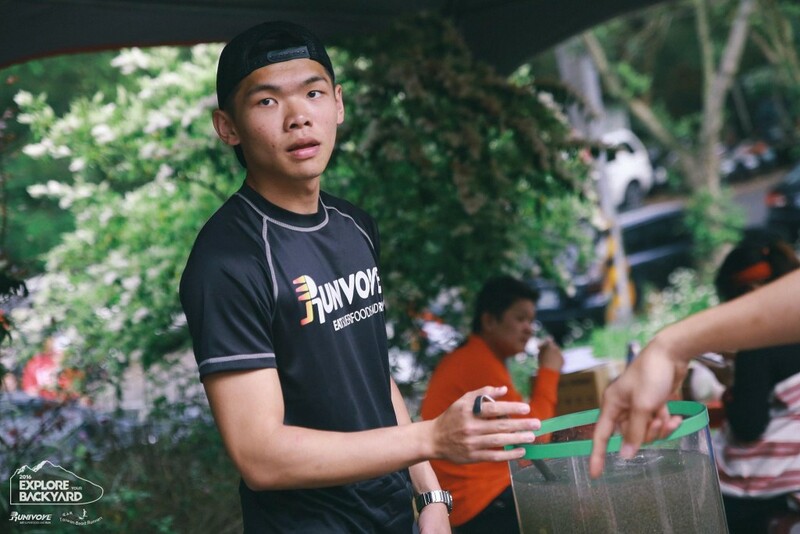 On the ladies side, we had Yueh Chen Wu (TWN) take first in 2h 4m. 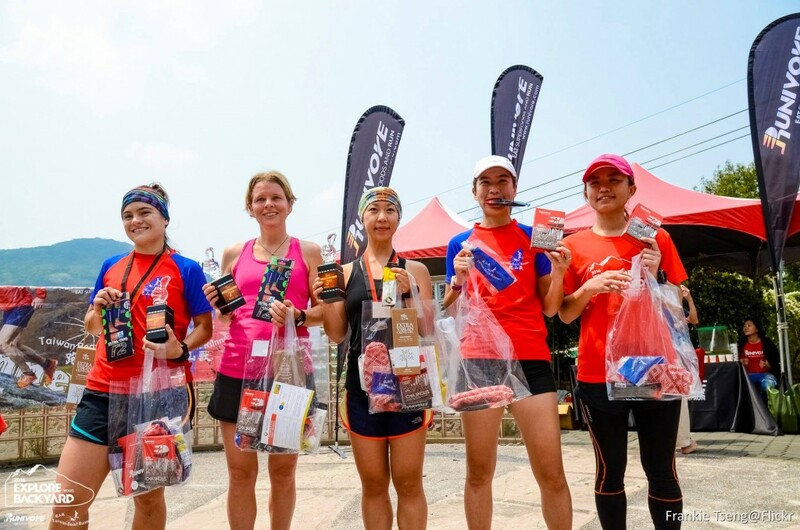 The defending champion in the middle distance Isabella Haarring (Haarring – TWN) took second, Jan Chu Wu (TWN) was in third, Rich Liu (TWN) took fourth, and a surprise fifth place was taken by trail running newbie Sara Yang (TWN). 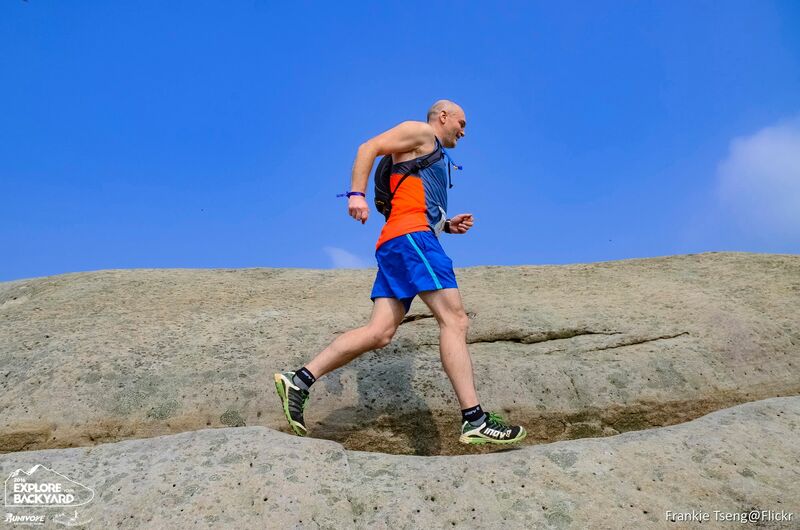 The 8k fun hike was meant to be just that “fun”, but many of the younger participants flew through the course surprising even race director Petr Novotny with their finish times. The organizes have vowed to put the timing chips on all three distances in Explore Your Backyard 3.0 so that we can have these speedsters on record. The event concluded with an awesome burrito bowl from Sophie’s catering, a free Moosehead beer (or soda for the young ones), lots of Chia Fresca, and the award ceremony with prizes from very generous sponsors including: Hito Olive Oil, Compressport Taiwan, Elmore Oil, Raid Light and Honey Garden (and don’t forget Runivore). P.S. Big thanks to all the Taiwan Beast Runners volunteers as well as the IMBA program from NCCU for making the race a success by volunteering your time and energy!!! 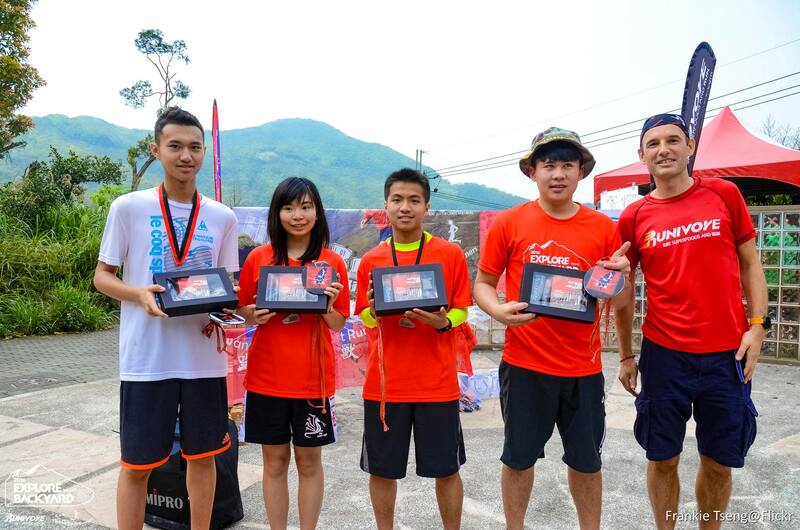 More pics, results, and race info can be seen at www.taiwanathon.com.